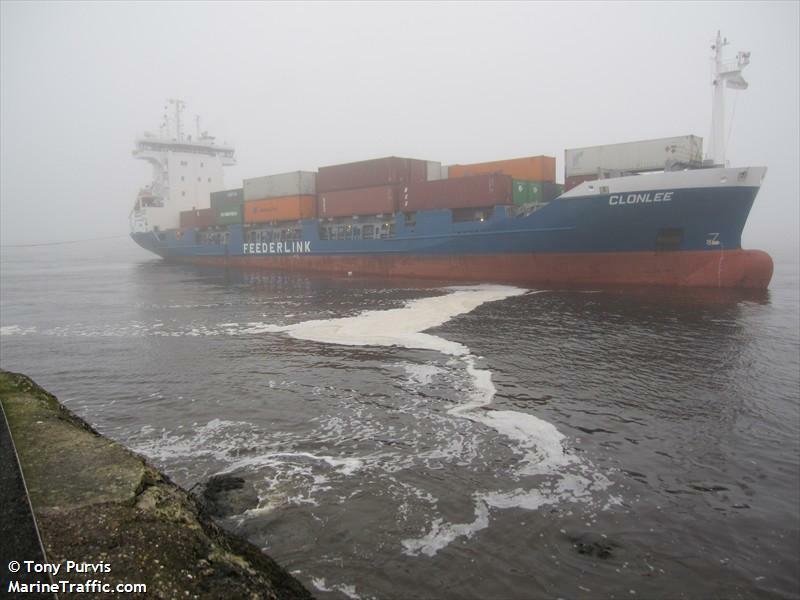 The 5207 dwt boxship Clonlee drifted aground on the Tyne River near Littlehaven beach, England. The 100 meter long vessel lost power after an electrical fault. There was no damage and no pollution was released. Tugs were able to lighten the load so that the Clonlee to free itself with the next high tide. 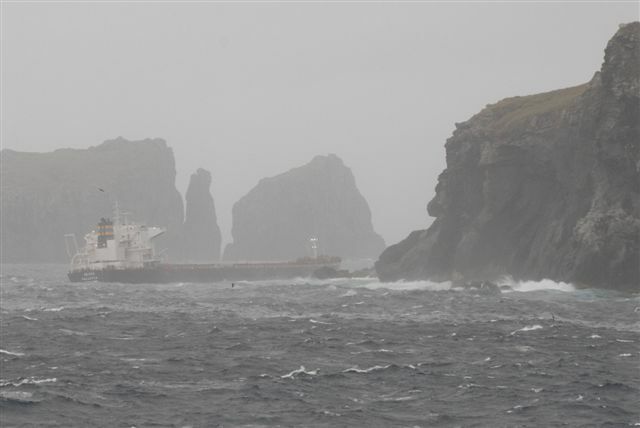 The 75,300 dwt freighter MS Oliva went aground off Nightingale Island which is part the South Atlantic Islands of Tristan da Cunha. The Oliva was bound for Singapore from Santos, Brazil with a cargo of soya beans when it struck a rocky outcrop and firmly aground. The initial grounding caused damage to 4 ballast tanks. Salvage attempt was possible even if the nearest salvage team from Cape Town, South Africa was 5 days away. However, weather worsen with heavy swells. All 22 crewmen on board the Oliva were safely rescued by the fishing vessel Edinburgh and cruise ship MS Prince Albert II. On March 18, the MS Oliva broke-n-two wieht the superstructure breakup up in the swells. Pollution is now the major concern as fuel oil and 60,000 tons of soya beans washing ashore around Nightingale Island and nearby wildlife preserves. The pollution will impact the environment and fishing industry for Tristan da Cunha. Photo Report received from Captain Alexander Golubev Master of the cruise ship MV Prince Albert II and taken by their photographer Kristine Hannon. 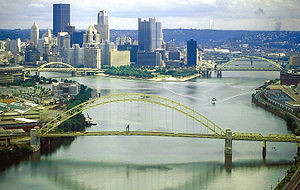 Two empty barges being towed down the Ohio River near Pittsburgh, Pennsylvania broke free from its tug and struck a moored third barge causing it to go adrift. The moored barge was loaded with a cargo lubricating oil floated down the river until it went aground on a sandbar just before the West End Bridge. It is listing to starboard, but not taking on water. The two empty barges were picked up by a tug. Another barge may have been struck which had in its hold a cargo of anhydrous ammonia, a chemical used in agriculture and refrigeration. Reports state there was no visible damage and no signs of oil has leaked out. The Coast Guard is conducting an investigation into how the barges broke free and checking for any releases of pollution. No on was injured in the incident.